This belt has a lovely Octopus Buckle, but what makes it really special? 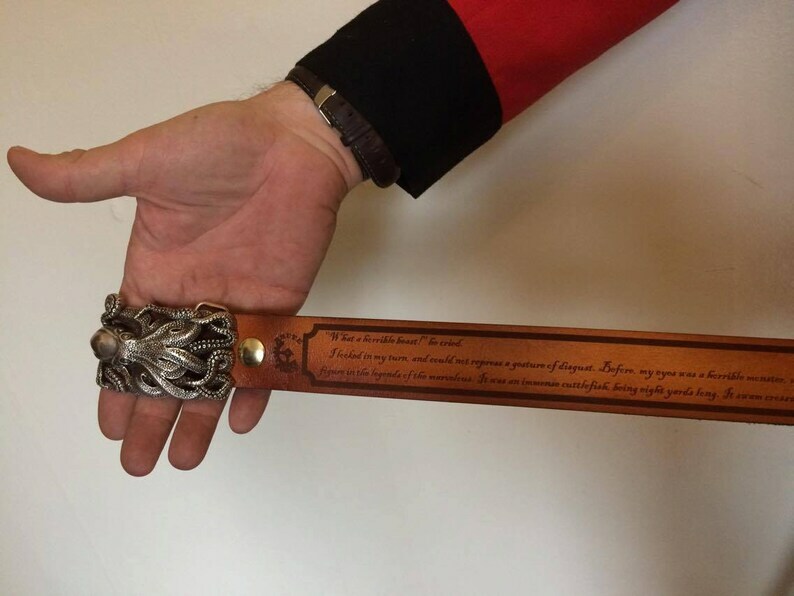 the leather belt itself is engraved with the description of the Beast attacking the Nautilus. Presently there are only 5 in existence. one of them could be yours. it is available up to size 60" waist. Please note your natural waist size when ordering.